In the last post I did the installation of OMM4OBI / OEMM. 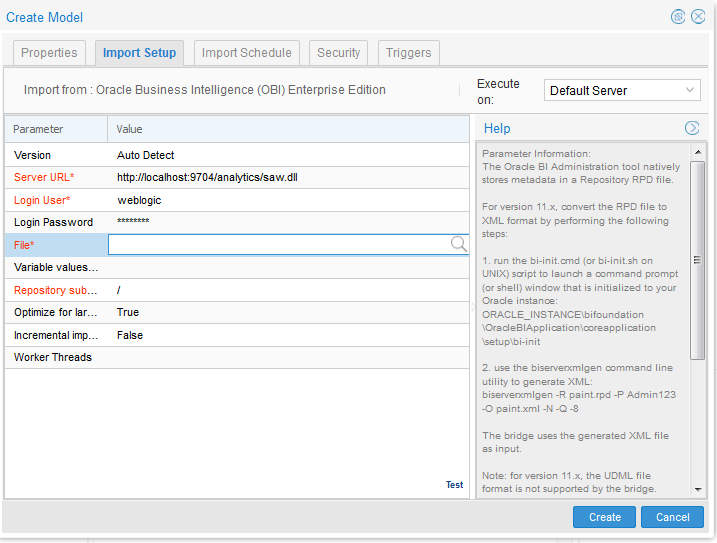 Now I can import the OBIEE metadata into it. 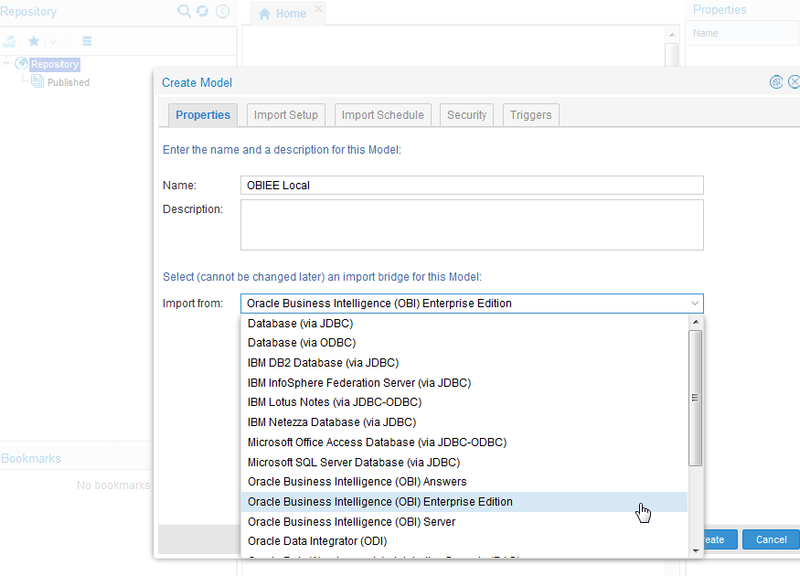 Selected in the "Import From", Oracle Business Intelligence (OBI) Enterprise Edition, from the list. In the next screen I provided the link to OBIEE (it's installed on my laptop, so localhost). 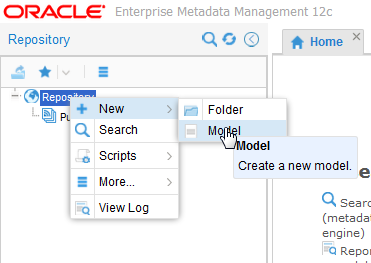 The Oracle BI Administration tool natively stores metadata in a Repository RPD file. The bridge uses the generated XML file as input. Note: for version 11.x, the UDML file format is not supported by the bridge. 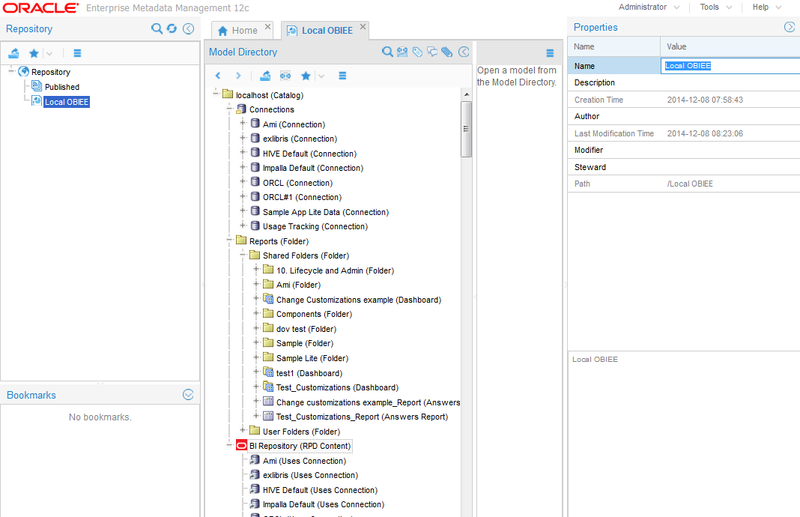 The bridge uses the generated UDML file as input. 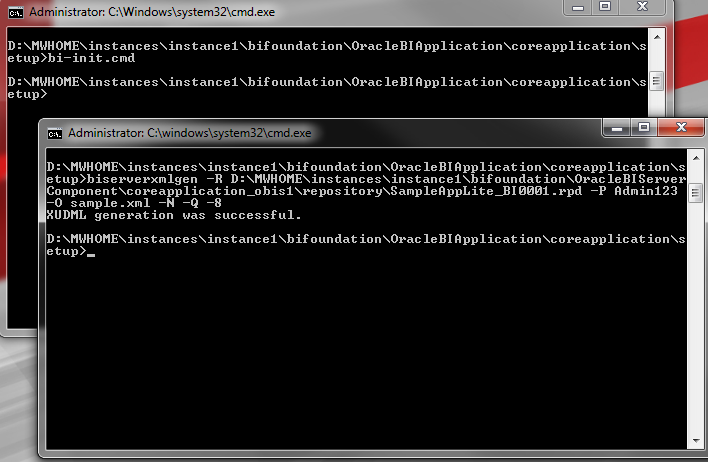 Where D:\....\SampleAppLite_BI0001.rpd is my repository file, with the path and Admin123 is the RPD password. Now I can take the result file sample.xml, place it in my preferred folder and finish the import. (It might be a good idea to run the "test" at the bottom of the screen first). I'll do some analysis with it in the next post.